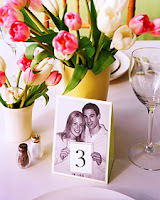 One place that you can personalize your wedding is on the tables. 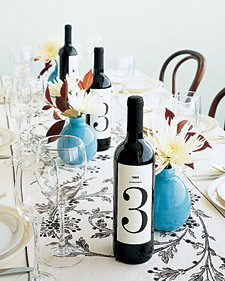 Creating your own table numbers can be fun and wallet friendly. Below are some different inspirations for spicing up table numbers. to find their tables named for artists. On the tables were a small print by the artist. 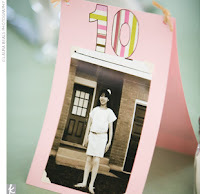 with a strong paper such as card stock. Then place it on a small easel. also double as favors at the end of the night. 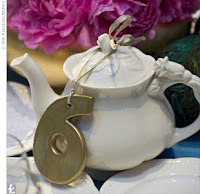 and attached them to thrift store teapots. This look is both vintage and unique! bride and groom holding up the table numbers in different poses. but is a great way to add even more of a personal touch. Just don't forget to include the table number in your suitcase! 4 1/8-by-6 1/8 inch paper (for 4x6 prints). fold 2 1/8 inches from each end to form flaps for base. 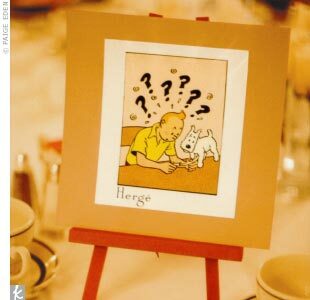 Glue photograph to one panel of the tent. Overlap base flaps by about 1 inch; use double-sided tape to secure. after a childhood game like this couple did from Missouri. 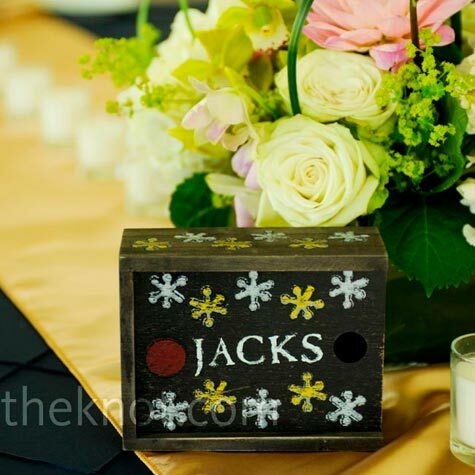 From Jacks to Uno, your guests will love them! 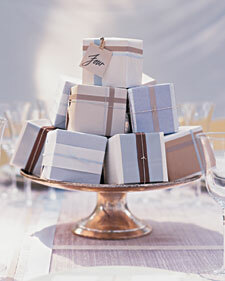 Wrap candy or cookies in small boxes and add ribbon. 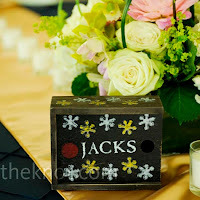 and add a gift tag to the top box with the table number written on it. to a picture from the bride or groom's childhood. table number or the rest of the decor. 1. Photo by Paige Eden, Denver via The Knot. 2. 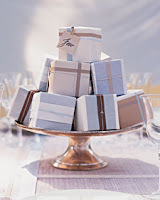 Photo and instructions by Martha Stewart Weddings. 3. Photo by Mike Kehr Photography, Philadelphia via The Knot. 4. Photo and instructions by Martha Stewart Weddings. 5. Photo by Modern Wedding Photography, Detroit via The Knot. 6. Photo and instructions by Martha Stewart Weddings. 7. Photo by Laura Beals Photography, Arlington via The Knot.